In a lot of different fashion show yellow has been coming up both as the main color of some amazing gown and as accent colors, it makes for a really fresh and summery look. 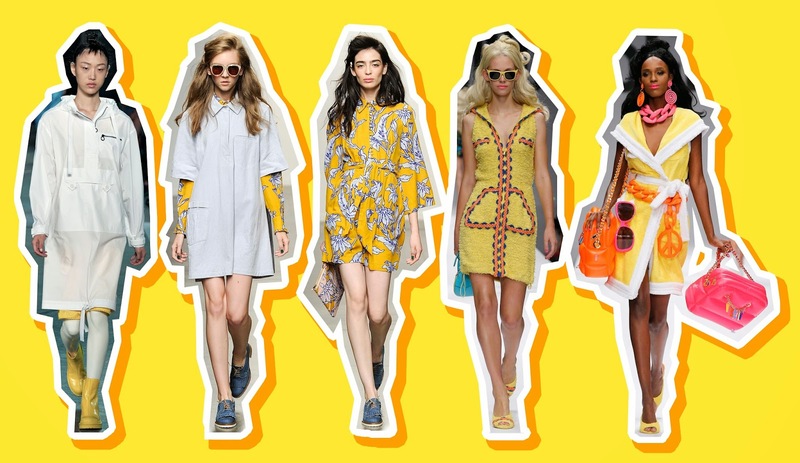 Over you see looks from marc by marc jacobs, two looks from Karen Walker and the last two from Moschino. These looks all would work great for everyday looks. Here we have some more formal dressed up looks. The first one is a flowy dream from Chloé. The three other ones come from Diane von Furstenberg, her prints are amazing and the cuts look really now. I'm going to put together some coords with yellow as the main color, so be sure to check back!